Convert more visitors into buyers with HumCommerce - Price Starts at Only $9! Convert visitors to customers today! HumCommerce: An e-commerce analytics tool for your website. Most e-commerce managers and business owners struggle to get the most important insights of their businesses. It’s easy to pull out complex business reports but the challenge is extracting the simple, actionable metrics to increase conversion rates. Luckily today, our affiliate partner HumCommerce can help you understand exactly how visitors interact with your website. Track users activity through heatmaps. Find out how customers interact with your website (click, move, scroll data) for different devices. Know which pages or sections of your website your visitors have more or less interaction and optimize for conversion. See how visitors navigate your website and optimize it using visual reports. Know the keywords your website is ranking in search engines. Connect your search engine webmaster tool and search relevant keywords in HumDash. Analyse forms on your website automatically. Increase form completion rate by editing form fields. Compare landing pages to find out which one has the highest conversion rate. Discover the bottlenecks in your sales funnels and boost your funnel conversion rate to increase profit. Find out which source (search engine, PPC, social) you got sales from. Select from 6 attribution models to use for sales performance analysis. Pull data from different reports and create custom marketing reports to extract the insights you want to see. Know what visitors are searching on your website. You may add products/services using site search. Find out the crawling errors on search engines for all devices. Automated insights shows the traffic performance of your website. Know how many days or visits it took to make a sale. Improve overall sales by reducing the no. of days and visits. Know which categories and products on those categories are performing well in sales. Know which location and targeted cities you have many visitor activities for your website. Know where your products have the most sales. Optimize for these customers to increase profit. Find out which products need to be optimized and which need to stock up. Find out which traffic source (search engines, referrals, emails) are giving you more sales. 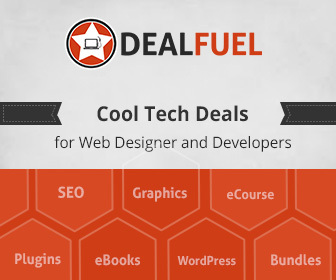 Black Cat Deals is a modern and clean website to show great and handpicked deals to web designers, web workers, artists and website owners. We look forward to your suggestions and numerous contributions and comments. All trademarks and logos displayed on this site are the property of their respective owners. Join our newsletter list to stay informed about our latest deals. © 2019 Powered by Sascha Travica. All rights reserved.